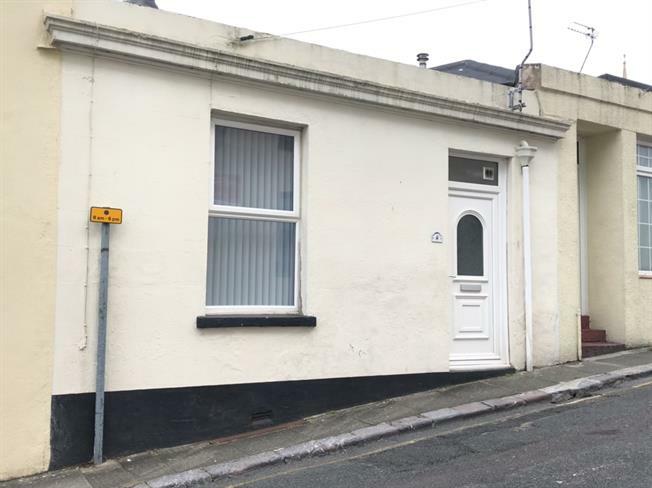 1 Bedroom Terraced House For Sale in Torquay for Guide Price £115,000. This property's price has dropped from £125,000 to Guide Price £115,000. A reverse level, mid terrace, one bedroom house being ideal as a first time buy, buy to let or as a holiday home. The accommodation includes an open plan living room/dining room/kitchen and cloakroom on the ground floor with steps leading down to the bedroom, four piece bathroom suite and study. The property also benefits from double glazing, central heating and residents parking. A modern kitchen fitted with a range of matching wall, base and drawer units with work surfaces over incorporating a stainless steel single drainer sink unit with mixer tap, space for gas cooker, spaces for washing machine and fridge/freezer, boiler providing heating and hot water, double glazed window to the rear, laminate flooring. Mid flush WC, wall mounted wash hand basin, tiled flooring. Double glazed window overlooking the rear, understairs shortage cupboard, radiator, laminate flooring, door to en-suite and study. A four piece suite suite comprising of a panelled bath, shower cubicle with thermostatic shower, mid flush WC, wash hand basin inset into a vanity unit, obscure double glazed window, ladder style radiator, tiled flooring, extractor fan, part tiled walls. 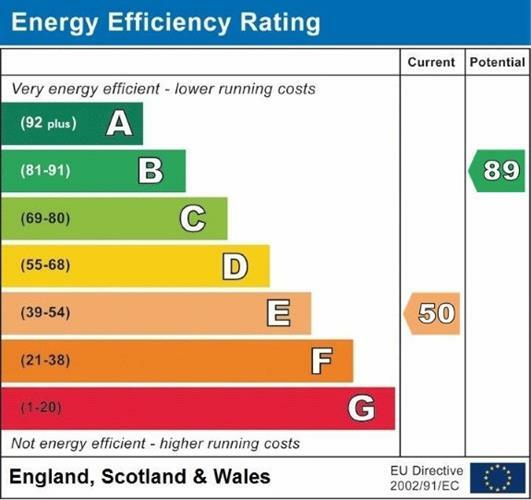 An irregular shaped room with a radiator, laminate flooring, borrowed light from the bedroom, further understairs cupboard housing the consumer unit, electric meter and gas meter.